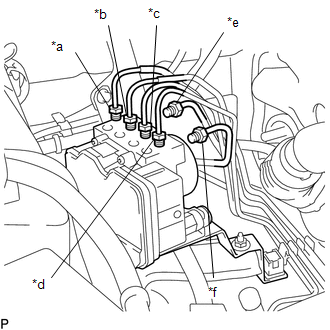 (a) Release the connector lock lever. 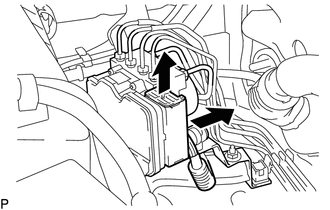 (b) Disconnect the brake actuator connector. 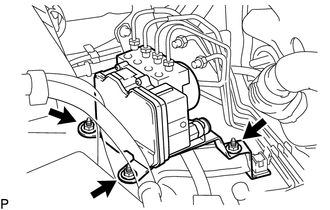 (c) Using a union nut wrench, separate the 6 brake tubes from the brake actuator. (d) Use tags or labels to identify the place to reconnect each brake tube. 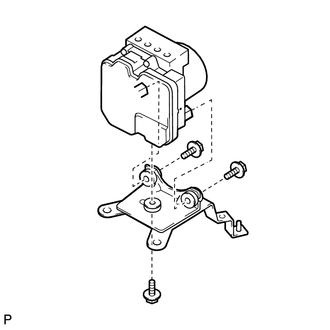 (e) Remove the 3 nuts and brake actuator with bracket. 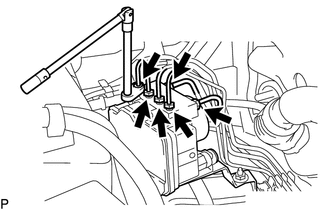 (a) Remove the 3 bolts and actuator bracket.